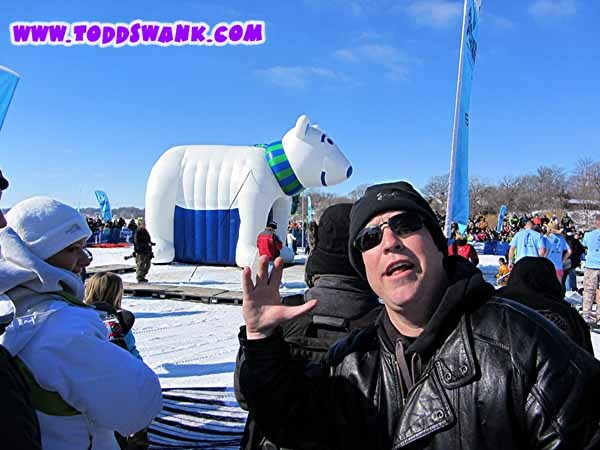 Todd Swank: Support The Special Olympics By Sponsoring Todd Swank In The Prior Lake Polar Plunge! Support The Special Olympics By Sponsoring Todd Swank In The Prior Lake Polar Plunge! Todd Swank will be jumping in a freezing cold lake to help support the Special Olympics and would appreciate your donations to support this great cause! Every Plunge makes a difference for more than 8,100 Special Olympics Minnesota athletes. Special Olympics Minnesota offers children and adults with intellectual disabilities year-round sports training and competition. Through Special Olympics’ athletic, health and leadership programs, people with intellectual disabilities transform themselves, their communities and the world. Funds raised through the Polar Plunge help to support programs such as Young Athletes, Unified Sports, Healthy Athletes and Athlete Leadership Programs, to name a few. Learn more about Special Olympics Minnesota and our amazing athletes at specialolympicsminnesota.org.